How can fish farming be made more sustainable? Seeking to answer that question, Futuris correspondent Julian Lopez Gomez met a team of biologists who have set up a mobile chemistry laboratory near the heart of a nature reserve at Akaszto in Hungary. The reserve shares its ecosystem with a nearby carp farm. Scientists want to understand if and how fish farming activities are affecting the reserve's biodiversity. 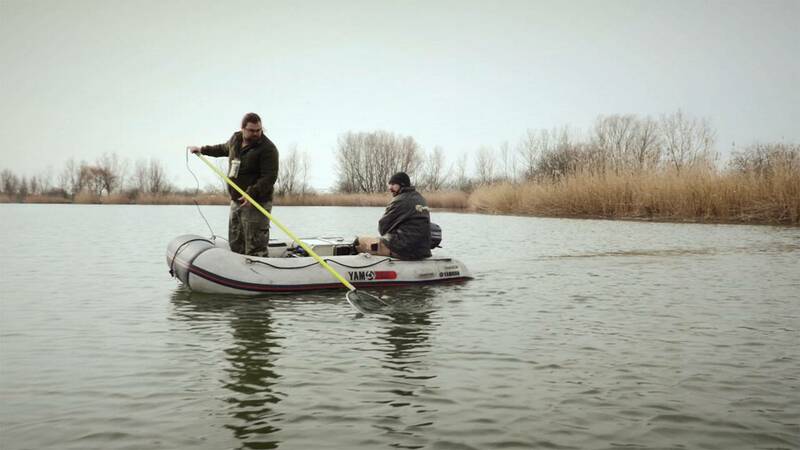 They therefore immobilise, identify and count wild fish before releasing them back into the water. "We are investigating the natural fish fauna and the quality of the water at the fish farm ponds' inflows and outflows," explained biologist Arpad Ferincz from Szent Istvan University. "We are comparing the results we get. Our work will help us establish how these fishponds and the management of the fishponds affect the natural fish community and the biodiversity of water around the reserve." Samples are taken at different spots to get a clear picture of how the reserve's flows are affected by water used on aquaculture activities, which is usually very rich in nutrients. "The equipment allows us to measure parameters like temperature, conductivity and oxygen saturation in the water," said marine biologist Lilianna Pap of Szent Istvan University. "We also use a mobile chemistry kit to check the levels of nitrate, nitrite, phosphate and ammonium in the water." Data is then shared within a European research project aimed at increasing the sustainability of aquaculture. The TAPAS consortium is comprised of 15 partner organisations, including research institutions, SMEs and regulators from across Europe. Seven sites of fresh and saltwater farmed fish species are being monitored around Europe, including salmon farms on Norwegian fjords. Marine biologist Trine Dale is from one of the project's partners, NIVA, the Norwegian Institute for Water Research. "We are trying to develop models that can show something about (how) any substance coming out from a farm, either organic waste from the fish, or for instance veterinary medications, will be spread out in the area," she explained. "And that is important when you are going to monitor, for instance, for the environmental impact, to know where to put your (fish farming) stations, to see whether or not there are impacts." Aquaculture is the fastest-growing food production sector in the world, researchers say. Hence the need to consolidate its efficiency and sustainability. "We are looking at very scientific tools, which are based on highly complicated computer-based methods," said marine biologist and Tapas Project Coordinator Trevor Telfer from the University of Stirling. "But also (we are) looking at the environmental impact and the carrying capacity, which is effectively how much aquaculture you can do in an area without damaging the environment." Some 70 percent of farmed fish consumed in Europe is still imported. Hungarian carp farmer Robert Szabo says such a huge potential market will need sustainable practices to thrive. "The outflowing water is very similar to the inflowing water in its composition. This is clearly the way forward." Researchers hope their work will help prepare new strategies for a 25 percent growth in sustainable aquaculture in Europe by 2020.